Sift the flour in a circular motion over a table top leaving a hole in the middle. Place the remaining ingredients in the hole and knead by hand until the required consistency is obtained. Roll it into a ball and put it in a pot. Cover it with a cloth and leave for 5-6 hours to rise. Oil a pie tin with vegetable oil and sprinkle with flour. Roll out the dough and line the tin with it. Prick it with a fork and put a layer of raw chickpeas in the tin. Bake for 10 minutes. Remove the chickpeas. Put an inch or two of water in a pan with the remaining oil, salt, raisins, dates without pits cut in quarters, the apples, peeled and quartered, without core and seeds removed. When the fruit is soft, strain the liquid and purée the solids in a food processor. Grind the almonds and hazelnuts. Add them to the apple mixture with the pine nuts. 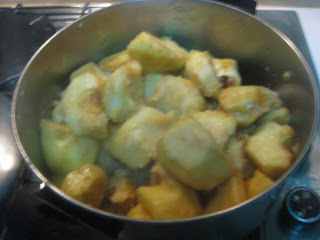 Add brown sugar, cinnamon and nutmeg and mix well. Pour this into the pie tin lied with the dough. Cover and bake 15 minutes. Remove from oven and garnish the top with sugar and cinnamon. Cover again and put it in the oven for 15 more minutes. 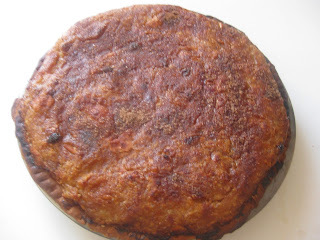 When it is golden brown and the crust begins to shrink from the sides, remove from oven and serve warm. The original recipe calls for a frying pan. Probably that would be a paellera as the handle on today’s frying pan would be a problem when baking in the oven. 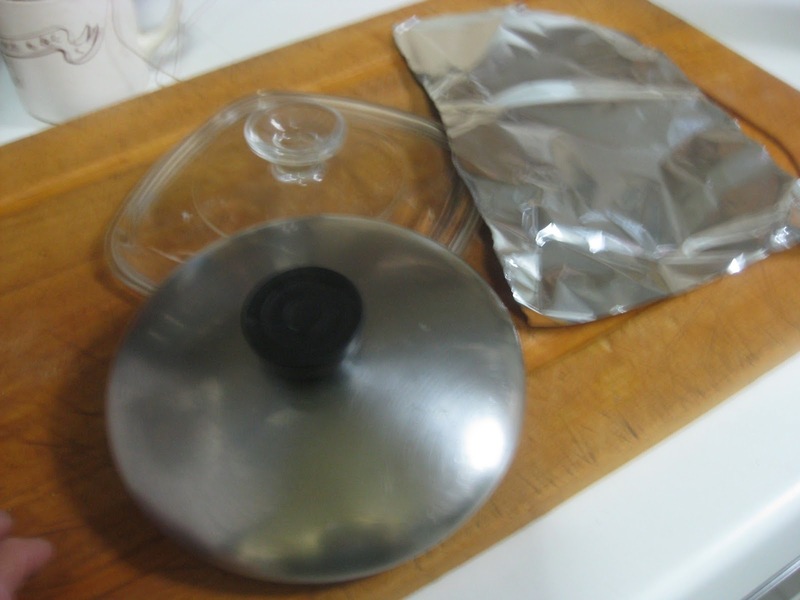 Aluminum wrap was used, as pie tins do not normally have a cover today.